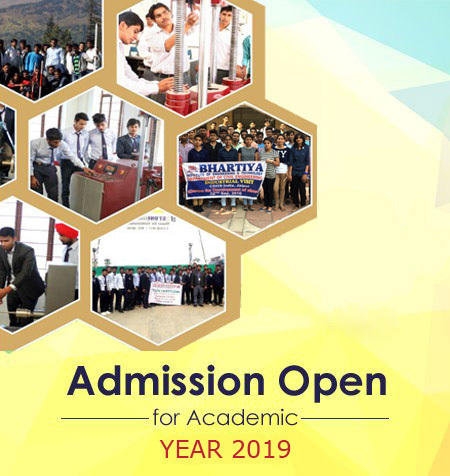 Bhartiya Institute of Engineering & Technology, Sikar has proved to be the most preferred destination for aspiring technologists across the country. The institute consistently attracts the finest faculty and the best of students for its Bachelor’s programmes. B.I.E.T has a rich tradition of pursuing excellence and has continually re-invented itself in terms of academic programmes and research infrastructure. Students are exposed to challenging research based academics and a host of sport, cultural and organizational activities on its vibrant campus. The presence of world class facilities, vigorous institute-industry collaboration programmes, interdisciplinary research collaborations and industrial training opportunities help students of B.I.E.T to excel and be ahead in the competitive professional environment. In the last twenty years, B.I.E.T has produced many illustrious professionals, whose contributions at national and international levels have been significant. College has sound infrastructure with lush green campus of 11 acres. The Institute proudly announces to have highest land area among all the colleges of Sikar. A central library which spreads over 1100 sq. m. area, has a highest collection of books. Beside central library each department has its own Departmental Library for easy access of students. The institute has Seperate hostels for Boys and girls with accommodation capacity of 1600 persons. Each hostel is provided 24*7 Internet facility with 4G internet connection. Each hostel is equipped with indoor game room, TV Room, Water cooler with RO system and Generator. B.I.E.T. has a fully fledged 24 hours medical dispensary with all the necessary arrangements to meet any emergency situation. One full time medical officer is appointed by the college. Institute has a central canteen beside this canteens are provided to each hostel to cater the need of students. The Institute has a fully A.C. Guest House for the emergency accommodation purpose. Institute has two bank in campus one branch of Punjab National Bank and other of Central bank of India. ATM of ICICI and Security are available for 24*7 money transaction. A branch of Post Office is also provided in the campus for mailing purpose. The Institute has TCS Ion Centre of Excellence where student are trained on software tools. The Institute has a language lab for communication skill and personality development. The Institute has a gymnastic hall with modern sports items & exercise machines to ensure health of interested students. The Institute has a Central play ground, Several Race tracks, Basketball court, Football ground, Tennis court and facilities for indoor games like Chess, Carrom, and Table Tennis etc. The institute has an Auditorium Hall with accommodation of over 1500 persons at a time.